Ever been tempted by a passing dessert cart? Desired a dab of your dinner companion's delicious dumplings? 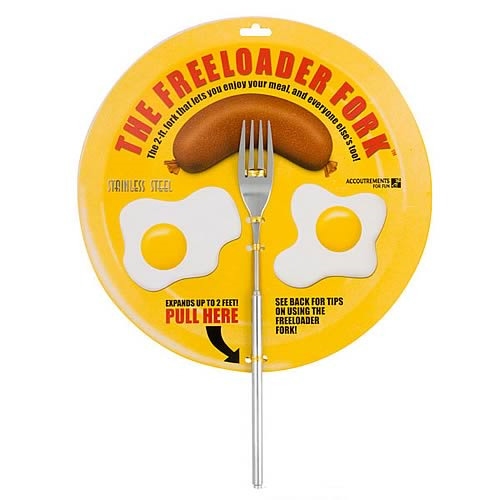 The metal Freeloader Fork looks like a normal fork, but it telescopically extends to a length of 21-inches! At its full length it allows you to surreptitiously taste other's food and never be suspected. It can also be used as a pointer for culinary lectures, a back scratcher or a humorous conductor's wand. Illustrated card. Order yours today!